Add high-quality video conferences to your freshdesk tickets, making it super simple for all participants to join a video meeting. 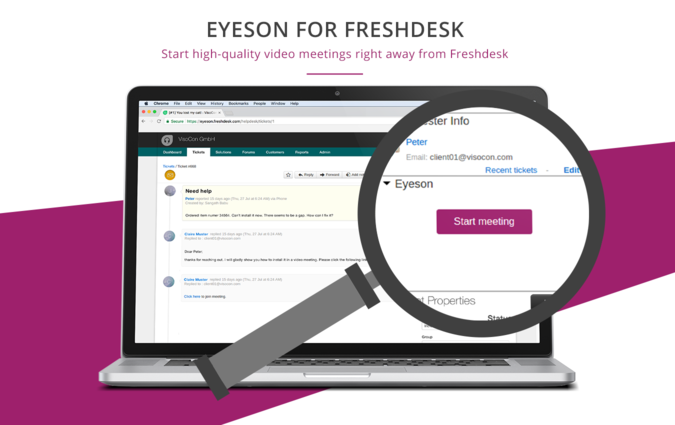 eyeson is a video conferencing app providing online meeting rooms. Thanks to Single Stream Technology, eyeson meeting rooms are not affected by the number of active participants therefore providing HD quality while keeping your bandwidth low. 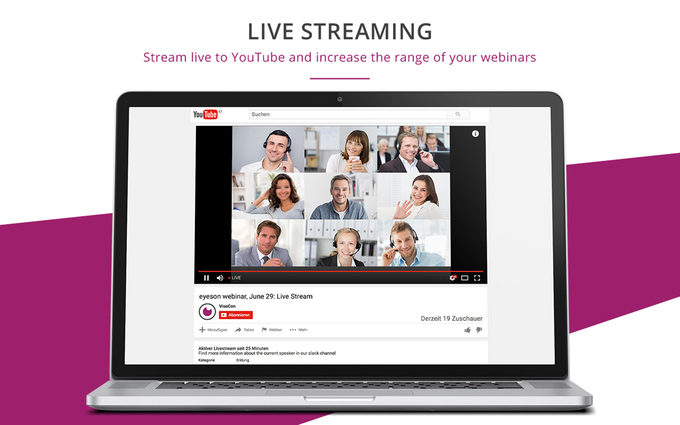 + Stream your meetings live to YouTube or Facebook to reach a larger audience (i.e. for tutorials etc).